In this final session, we will look at expanding your productivity and the benefits of using Sharepoint - now that you have a system in place. By now, you will have some live data in your system, and want to be able to do more with it. Read on for some powerful tools and methods to work with your Sharepoint data. - How to do it yourself! In our company, Sharepoint drives client billing – so this timesheet also provides validation that all time worked has been recorded for billing. When the resource opens the spreadsheet, they are challenged with their Sharepoint login – so that the spreadsheet can go and fetch the latest results from the two linked Lists on the live Sharepoint site. Note: Although technically possible, we chose not to have the spreadsheet feed back time into Sharepoint – we wanted a single point of entry and no possible conflicts with manual vs timesheet importing. However, the validation feature in the spreadsheet to confirm you have recorded your time in Sharepoint (which is what will be invoiced) works very well. 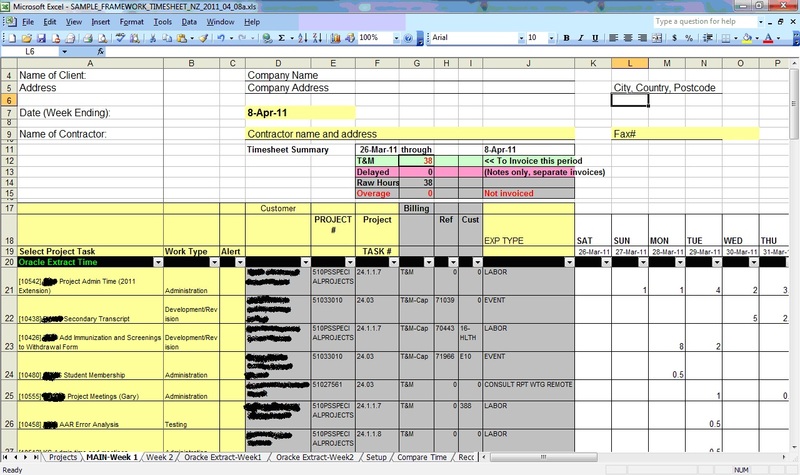 The Project Assignment records are structured so that time can be entered incrementally, or as a lump of time at the end of the week, depending on the duration of the task and granularity needed for the end client. Note: The time entry has an Effective Date (defaults to today). 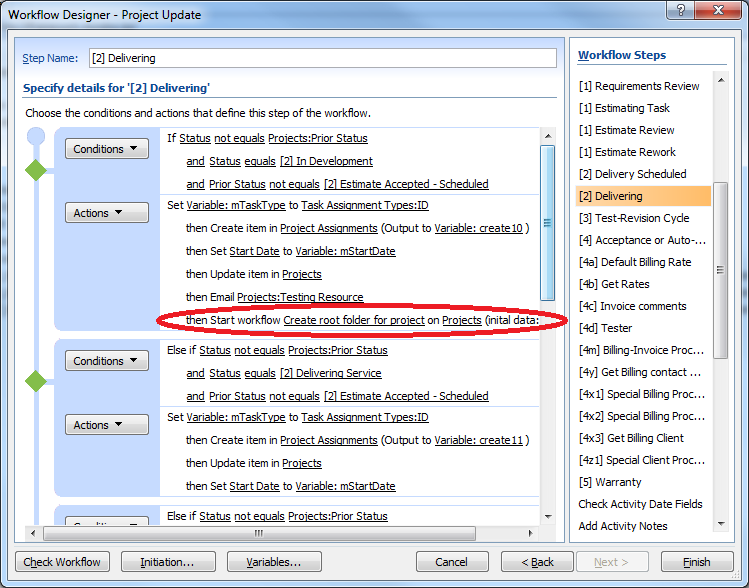 Project billing info is populated by selecting the project drop-down & task type, which pulls data from the dynamic Projects query linked to Sharepoint using VLOOKUP. 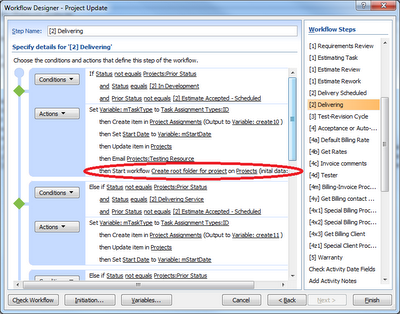 Benefit: All project billing info centrally maintained = no billing typos on the timesheet or invoices to the customer! Each resource can verify all Project Assignment time entered in Sharepoint, using the built-in “My Time Entry-Last 30 days” dynamic query linked to Sharepoint. 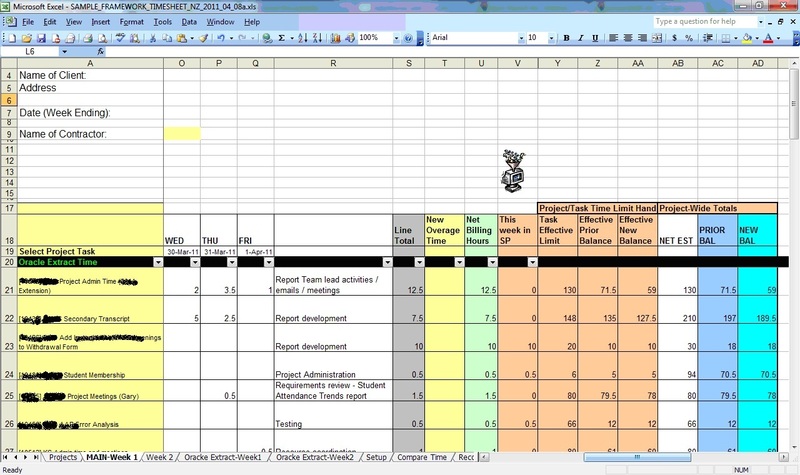 The timesheet also supports export for “end client” timesheet system import, when needed. Using dynamically linked queries from Sharepoint based on a suitable view, you can create a spreadsheet that contains either raw or processed status on all of your project items - and all you need to do to refresh it is open the spreadsheet and login to Sharepoint! And don't forget Autofilter in Excel - very handy when you want to distribute status to a variety of team members and stakeholders, and they want to quickly filter for themselves. Because our system is used for active project tracking and new work, we have information in Sharepoint that is useful for not only showing actuals, but for forecasting by resource based on booked and potential new work (pipeline) within the calendar year. We have produced a weekly forecast spreadsheet with per-resource and per-customer views, with quarterly roll-ups and unbooked pipeline, and pivot table analysis - all driven from a single linked query from Sharepoint. Note that this solution does require some additional custom fields in order to drive the statistics, which are included in the output query. But it is an example of what you can do with a little ingenuity. And like all of the other spreadsheets, just open, login and run a refresh macro - and you have a complete forecast/capacity planning update for the execs - in minutes, not hours or days. As we also do our invoicing from Sharepoint, we have all relevant time tracking data for invoicing, which can be used for reconciling invoices to raw time - which can be very useful for conduting billing audits with clients, if there is a question on some invoice items. Of course, you can always lookup individual items - but it is very handy to be able to export the data for analysis in a form that can be shared with the client. 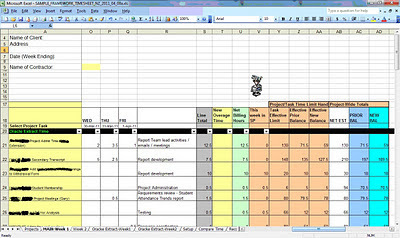 In this spreadsheet, the raw source time entry items are all brought in - with project number, resource, task, date, "billing week#", hours and other information, which is then analyzed using pivot table, where the auditors can break up the information any way they like by changing columns and rows in the pivot table. 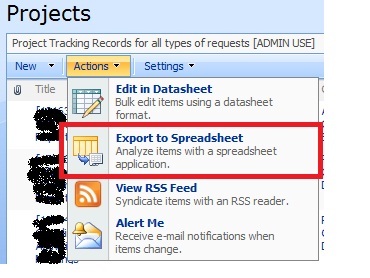 And again - the spreadsheet is reusable in future by simply opening it and logging in to Sharepoint to get the latest data. and then incorporate that dynamic query (*.IQY file) in a tab of your spreadsheet and then use the results on other tabs and in formulas. 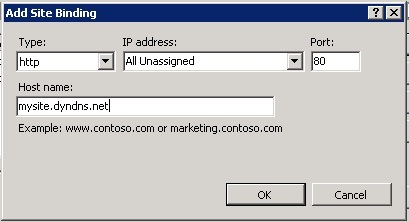 Note: You will need to login to Sharepoint. 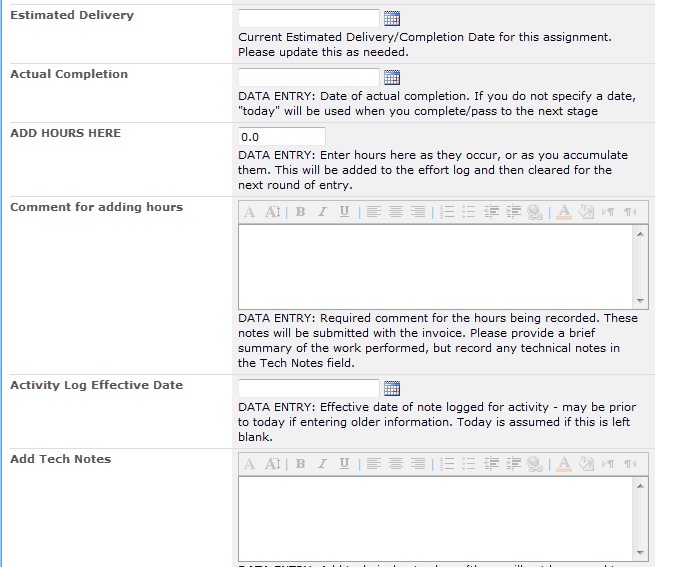 You will also be asked where you want to put the data from the linked query - into an existing workeheet, or a new workbook. If you want to start a new spreadsheet, then choose "New Workbook", otherwise, specify an empty tab to put the data into. 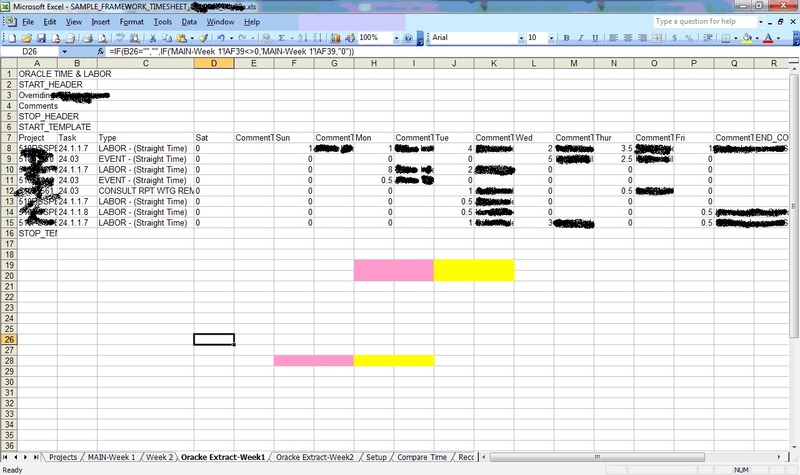 When you include the linked query in a spreadsheet, the entire range of cells is outlined in blue. 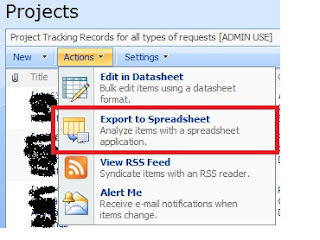 *Note that based on your query (view) definition that you exported from, the records pulled into Excel may differ each time you open the spreadsheet. For example, the view-query may look at the last 30 days of activity, or it may be a continually growing list. You can then create a simple or sophisticated spreadsheet that uses the results of the linked data pulled into Excel from Sharepoint. Note that this is suitable for tabular data processing, including rollup calculations, VLOOKUP, pivot tables, etc. Caution: As the range of cells in the dynamically linked query can change, any formulas that you based on the query data may suddenly become invalid, i.e. the last time you had 1000 rows, but this time you only have 850 - the lost "150" are treated as if you had deleted the cells with CTRL-X. The workaround for this, however, is relatively simple. As long as you can be sure there will always be at least one record returned from Sharepoint, you can use an Excel macro to copy/paste the first row of formulas to all other rows. Then all of your results will be consistent with no "breaks". 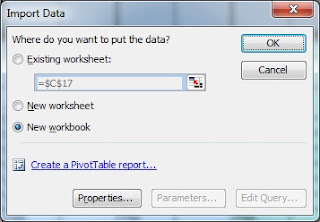 Likewise, if your spreadsheet uses pivot tables, those need to be refreshed as well - but that can also be done by macro. This is the end of this particular series - but not the end of the journey. Keep checking back for other Sharepoint articles from time to time - and for the other topics in my blog. Thanks for reading, I hope you found it helpful. This is the culmination of many (many) hours of scrounging the web and figuring out bits and pieces as I went along, from many different locations and postings (plus a few books and lots of experimenting). I hope this helps you get a quicker leg-up on developing your own systems. And of course, if you need further specific help (or help to you build your own system), I can be contacted on a consulting basis if desired. If you don't know where you are going, any road will get you there. But it may not be where you want to end up. Figure out what you need to do (the high-level requirements). Brainstorm! - What do you really need? - What do you need a system to do for you? - What problems/pain points are you trying to fix? - What works with your current processes (manual or otherwise)? - What are the inputs? - What are the outputs? - What are your "gates", decision points and start/end stages? Gather the ideas from your team, look at how your business processes work (or don't work), and put them together for discussion. Draw it out, use post-its, do your best to cover the various "what if's" that you know of or may happen. 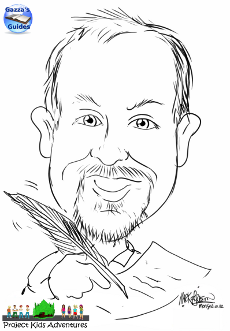 With the needs and wants identified, the inputs, outputs, key decision points etc - it is time to put pencil to paper. Mock it up. Draw the high level workflows and review with your team – make sure you do several passes to make sure you have covered all of your key needs. Then break it down to the next level. Model all of the state transitions (a flow chart is suitable for this), and see if there are any holes. If you missed something, add it in, rework the model and make sure that it "works" for you. It is important not to skip this step! An important gate in your planning is determining if you actually do need a new system to help you do what needs going. Maybe you have decided you don't. But if you do, is an off-the-shelf system close enough (and affordable enough) to do what you need? This might indeed be the case - but now that you have gone through the effort of figuring out what you really need, when you begin your evaluation of different products (vs doing it on on your own), you will be well prepared to make informed decisions. You will be better able to look past the pretty screens and glittering lights of the demo to see if a particlar package will do what you need. Ideally, you will want to get a free trial copy (full featured, limited time period) to play with each system to really shake it out, and try modelling parts of your process workflow, and see how it works. 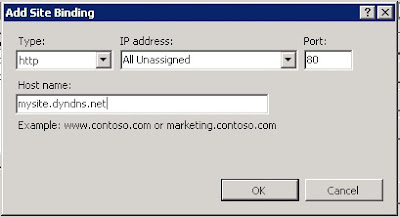 Do the same with Sharepoint - of course, WSS 3.0 is free with Windows Server 2005/2008, so it is just a matter of effort. But if you do need to report on the decision to go with a particular product vs others, it is advisable to do a side by side trial - try modelling some easy bits and some hard bits in each before you pass final judgement. And also decide if you have the people and skills to do it yourself - and maintain it. If so, great! If not, then grab some books, fire up Google and use my blog and others - or, consider a commercial alternative. There are many benefits of doing it yourself - particularly the ability to design exactly what you want, but you just need to be prepared for it. So you've decided to DIY - Now What? Break it down. Divide the overall solution by priority of business need. You will not need everything at once, but you should be able to determine "must have first", "must have next", "really nice to have", "nice to have", "maybe some day", etc. - so you remember how you coded it! Start with the basics. Get up and running with the essential components; don’t try to swallow the whole elephant at once. 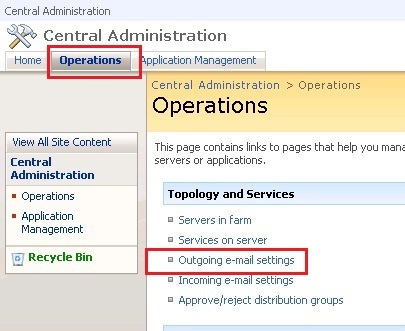 You may need to keep the “nice to haves” as paper/email/external processes until you have a chance to integrate them. Add functionality as you need to, and as you grow. (Consider, plan then develop and test it in a contained, modular fashion). 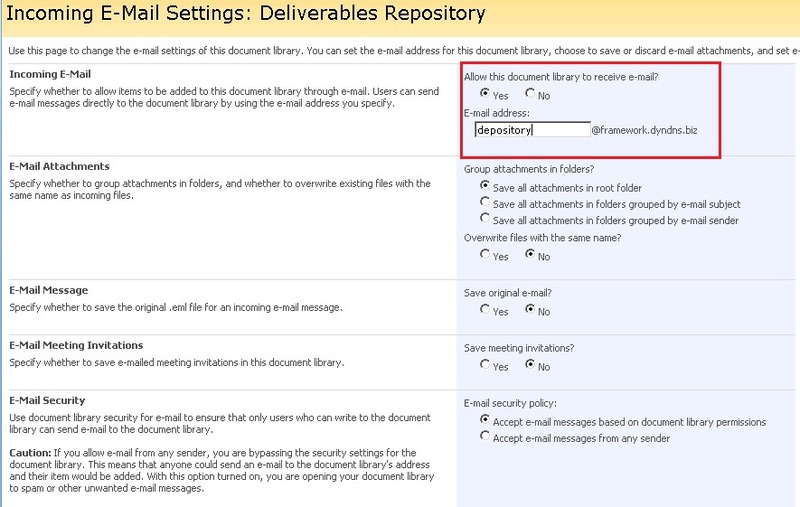 This is particularly important with Sharepoint - if you are planning to add on several pieces of functionality - I recommend you do it modularly. If the pieces of functionality are independent - start work on one, finish it, test it and make sure it works before starting on the next item. If some pieces are inter-dependent, develop them together and test the group of them before introducing any other functionality. Establish your Backup / Recovery plan/mechanism from day one. The XML file is used to define the source and destination for the backup, how many versions to keep, and email notification settings.The settings below in green are recommended for "full backup" of everything. The yellow highlights are what you need to modify for your setup. 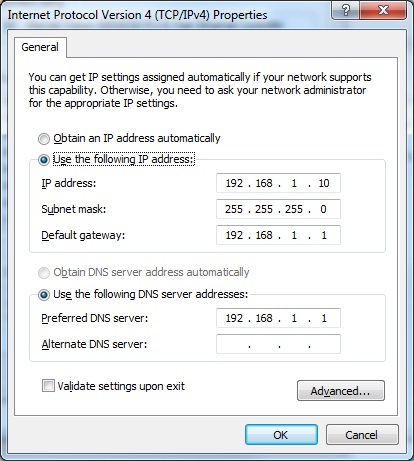 *Note that SPBackup can backup to any folder, however some online backup services will not backup from particular networked drive configurations. In this case, use SPBackup to backup to a local drive and then have the online backup service pull that backup file for safe keeping. powershell -command "& './spbackup.ps1' 'spbackup.xml' "
Before we begin, you will need to have Sharepoint Designer PowerActivity by iLoveSharepoint installed on your Sharepoint server. 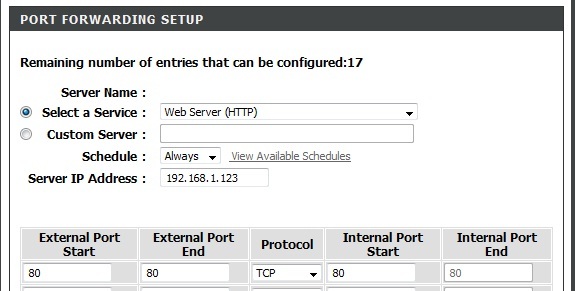 This will allow you to run PowerShell scripts from within your Sharepoint custom workflows. Tip: I use the Start Workflow action to help simplify code maintenance. 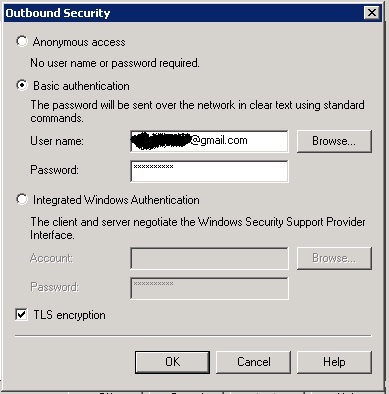 This script shows the basic elements required to use PowerShell to query and manipulate Sharepoint data from a server-side script. We will describe each section of the script as we go through it. You must include the following text near the top of your script (server-sidePS1 scripts only, not in Workflows). This loads the Sharepoint object library definitions so we can work with them. 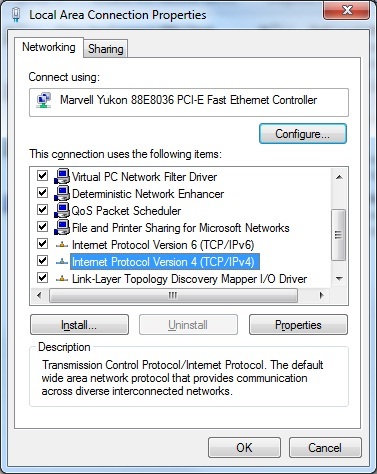 The Web object will be used often in the Sharepoint PowerShell scripts. The highlighed section in yellow is the site base URL, the /Lists/ part indicates we are working with lists, and the Projects name highlighted indicates the list name in Sharepoint - this may not be the exact name as what you see, especially if there is punctuation in the visible list name, so always check the URL when you have the list open. 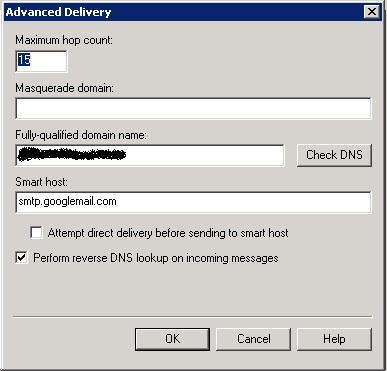 The rest of the URL indicates the view and object name. 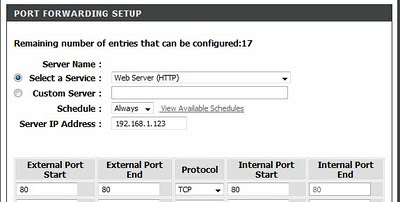 In the next example, you see that any spaces in a list name are replaced with %20 in standard web URL fashion. We use the $web.GetList function with the URL and list name to open the list object. This initializes the variable as a SPQuery type object. This will return a collection of all items in the list, that we can then loop through. The example below shows how to loop through the $items list object (in no prescribed order), outputting selected field values for each item in the list, including the key value from a lookup field into another list. Tip: You can reference field values in Sharepoint objects by specifying the object variable name, and then the field name in quotes, surrounded by square brackets, i.e. As we will see later, it will be necessary to be able to extract the lookup key values in order to work with other lists in the same script. # when working with multiple lists at one time. Note that this example is fairly simple, in that it does not do any conditional tests, it simply dumps out information from the named list. However this can be a very useful script when you want to quickly dump the contents of a list to see record keys, etc. Note that from a coding practice, we are not using the obvious variable choice of "$item" to step through the list. That is because, as you see later on, the PowerActivity PowerShell script initializes several variables that we will use, including $web and $item. In order to write scripts that can first be tested on the server before being utilized in the workflow (which is hard to debug), we use some standard coding practices to make the code relatively transportable from the Server-side script into the workflow, with minimal changes. Although less critical in server-side scripts, the objects should be disposed when each script completes. This becomes imperative in workflow-based PowerShell scripts, as the running process never exits and you can get memory leaks, which may crash the timer process, or make it unable to start workflows until you do an IIS Restart. This script uses the same basic structure and object variable definitions as the Dump List script. However, within the loop we will test for conditions, and if those conditions are met for the List Item, we will update it. We will use the condition test and a $doupdate flag to indicate that we should update the record, based on one or more of the tests. In this example, we are populating "Prior" values from "current" field values if they are empty. 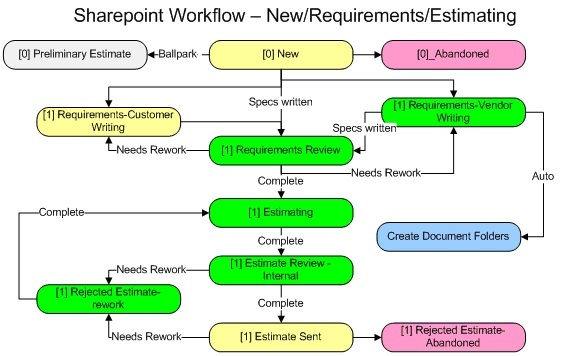 This simulates what happens if you decide to track a field value and use it in workflow state-based decisions (i.e. is the value different from last time?). This script would then set the "initial state" so that events would not trigger unnecessarily the next time the List Item was edited. # Prior value to the current value. Repeat for several fields. # records to update properly. # UN-comment when you are ready to do the actual update. 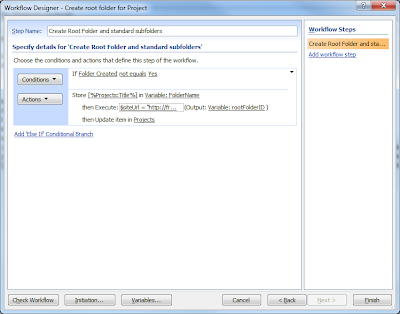 This script uses a recursive technique to work through a nested structure such as a document library, or a list with sub-folders. This particular example copies specific field values from the parent (described in the script as "metadata") so that column filtering of those common values (i.e. customer ref#, client ref#, etc) will work as you drill down into the sub-folders. 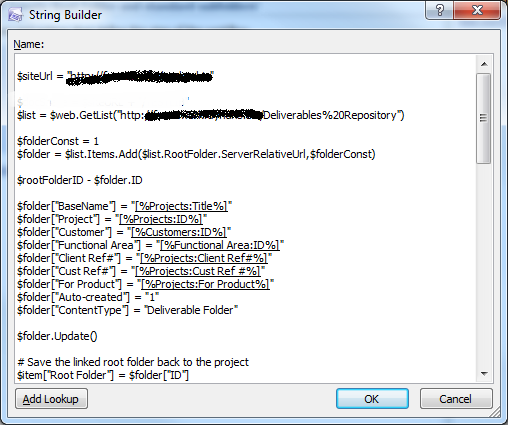 This workflow creates a standard directory structure for a project. 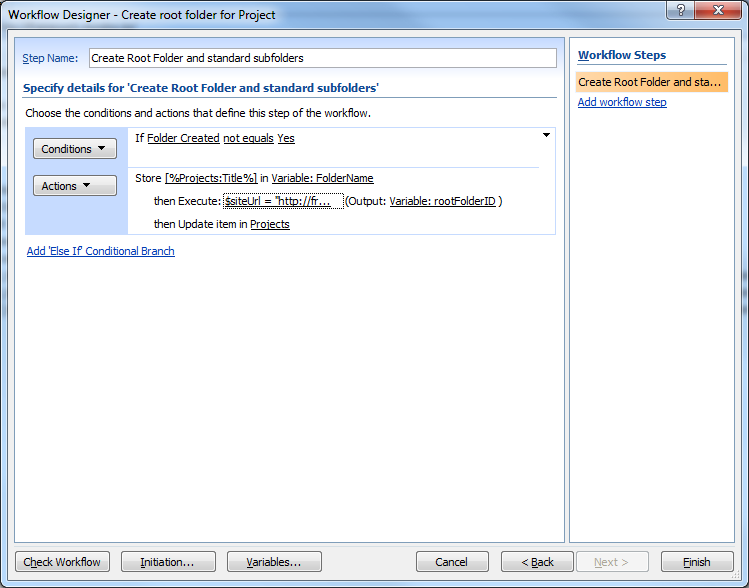 The trigger condition for this workflow is based on specific status code(s) being met in the Project, and that the folders have not already been created. 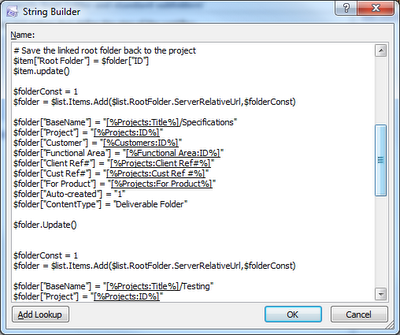 This was coded in a separate workflow for maintenance simplicity, and so that it could be called manually if needed. 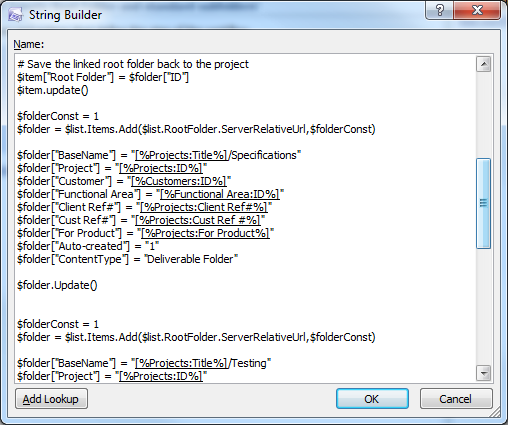 This section shows code examples of working with PowerShell to create folders, which cannot be done from a normal workflow action. However, please note that the full solution is not described here, i.e. custom object type definitions etc. First we need to write the script. In this (older) example, we show that you can use the String Builder lookups for data elements; we could also have written it in more portable code as above, but this provides an example of a different method. 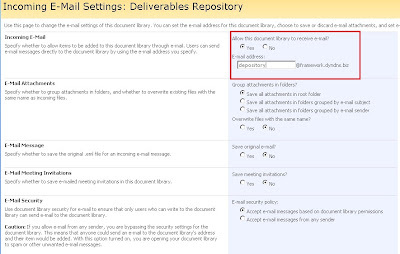 Note that this method cannot be copied-and-pasted from Sharepoint Designer (thus the screen shots), so a more portable coding method is suggested. An example of this approach follows in the next section. 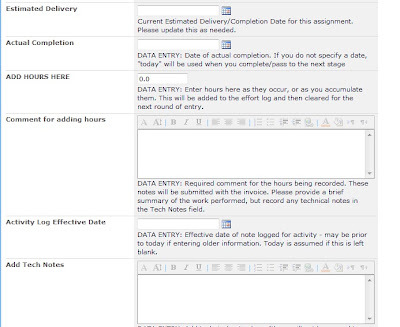 We will use fields from the current list item (project record) to populate fields in the Document Library. Note that we have already pre-defined the custom fields that we want in the Document Library, under a custom "Deliverable Folder" object type. 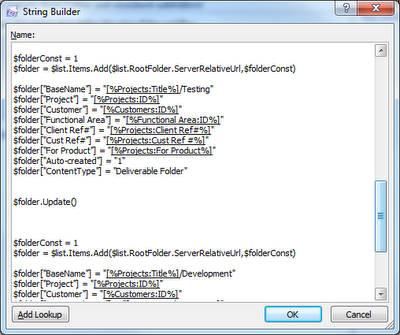 Note: The full solution for the document library folder/metadata inheritance also incorporates PowerEventReceivers. Only selected elements of the solution have been detailed here. These example scripts test for a specific status condition (i.e. 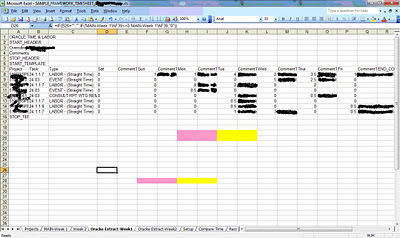 project cancelled) in the main Project record(s), and then traverses several related lists (Project Assignments, Held Time), updating the status of dependent records in those lists to "cleanup/close-out" those records. The server script and the workflow script are almost identical in logic, except that the server script loops through the Projects list, scanning all records, and the Workflow script starts with the specific Project record that has just been updated ($item). In order to develop the same logic (essentially copy-and-paste) for two versions, we will use the $item variable to represent the List Item, and $ProjectMainID to hold the ID field for this List Item. $listItem["Workflow Message"] = "Denied due to Project status change to Abandoned"
$listItem["Prior Status"] = "Overage Denied"
$listItem["Prior Status"] = "Project Cancelled"
In Powershell, although you can reference any field in the list in your script, you can only compare retrieve values from "static" fields - that is, you cannot use calculation fields. PowerShell will not complain - but you will not get results in your script. This is because the .Net library for Sharepoint will not do the field calculation for you - that only happens inside the Sharepoint UI itself. If you need to have access to a "calculated" field, you actually need to have two fields - the calculated field (usually hidden) and a "stored result" field, which must be updated from the calculated value in the last step of the "Update" workflow. 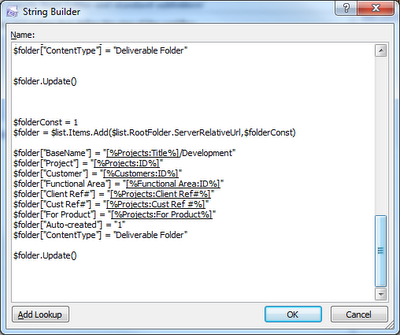 Then you can use the "stored value" field in PowerShell - and also, incidentally, in View calculations in Sharepoint. That's it for this session. I hope you found it helpful. Here are the file downloads from this session. Note that the downloads are suffixed ".txt" to prevent any potential browser download issues with executable scripts. 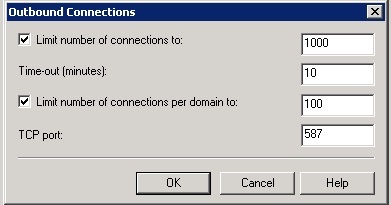 To run these on your server, they should be renamed to ".PS1" suffix first.